The Belgravia - Horizontal Aluminium Radiator feature a stunning design, with vertical panels that are individually curved to create a subtle yet luxurious look. The Belgravia Aluminium would suit any room design and would work really well all around your home. The Belgravia available in 2 beautiful finishes: White and Anthracite. The Bloomsbury - Vertical Aluminium Radiator feature a stunning design, with vertical panels that mimic a wave formation across the front - simply glorious. 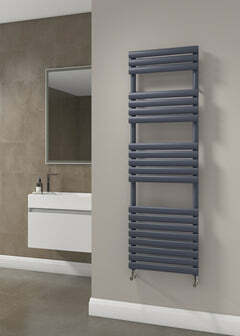 The Bloomsbury Aluminium would suit any room design and would work really well all around your home. The Bloomsbury available in 2 beautiful finishes: White and Anthracite. 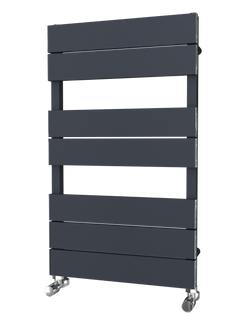 The Kensington - Double Flat Vertical Radiator - Anthracite has a lovely simple design, with flat panels running vertically, creating a sleek, and subtle look. The Bloomsbury - Horizontal Aluminium Radiator feature a stunning design, with vertical panels that cascade horizontally in a wave pattern. The Pimlico - Horizontal Aluminium Radiator feature a stunning design, with flat panels that create a beautiful slimline look. 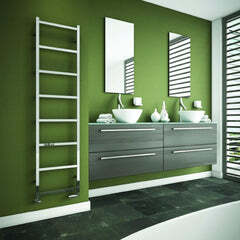 The Sloane - Horizontal Aluminium Radiator is a stunning design, with curved vertical bars creating a design masterpiece! The Sloane has some amazing BTUs meaning that i can heat many different sized rooms. 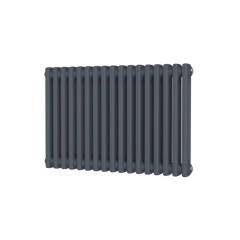 The Sloane Aluminium Radiator is available in two amazing finishes White and bang on-trend Anthracite making it easy to match up with any modern house design.